Founded in 2006 by Jim Clark, Look North Gallery is committed to promoting Inuit and Arctic culture through its gallery in New York City. Jim has traveled and worked in Arctic communities for over 25 years as a ship Captain on numerous commercial and research vessels. 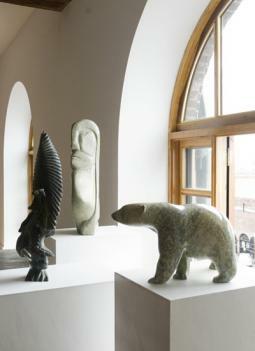 This experience cultivated a love and understanding of Inuit culture and a passion for its great works of art. The collection of artwork found at the gallery is a reflection of this longtime passion. Look North's collection can be viewed by appointment and through scheduled exhibits and openings at the gallery. In addition Look North exhibits work in arts-related venues throughout New York City. Located in Red Hook, Brooklyn, Look North is situated in a newly renovated Civil War-era building that was once a former shipping warehouse. 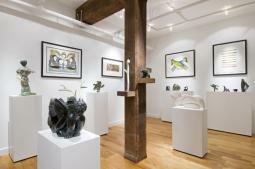 The gallery occupies a picturesque waterfront spot facing New York Harbor. Look North guarantees that all artwork is authentic and offers a 30 day return policy as long as the work is returned to us without damage.